The prime minister’s deal for leaving the EU is almost certainly dead after parliament rejected it again. A different compromise is feasible but hard to agree. That makes a long delay, and maybe a general election, more likely. But a chaotic departure may still happen. 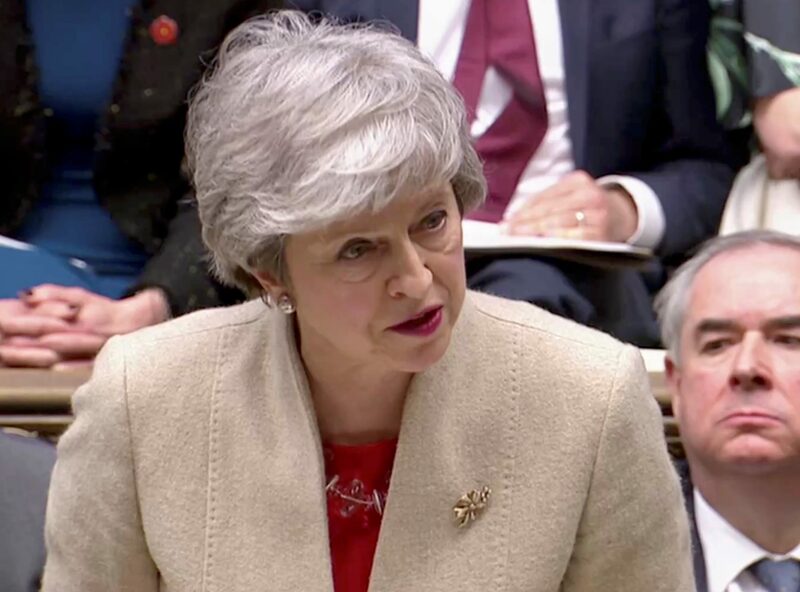 Britain's Prime Minister Theresa May speaks in the Parliament in London, Britain, March 29, 2019 in this screen grab taken from video. British lawmakers on March 29 rejected Prime Minister Theresa May’s Brexit deal for a third time, leaving the country’s withdrawal from the European Union in turmoil on the very day it was supposed to leave the bloc. After a special sitting of parliament, lawmakers voted 344-286 against May’s withdrawal agreement, which had been agreed after two years of tortuous negotiations with the bloc. Within minutes of the vote, European Council President and summit chair Donald Tusk said EU leaders would meet on April 10 to discuss Britain’s departure. The European Commission said that “a ‘no-deal’ scenario on 12 April is now a likely scenario”. The pound fell as much as half a percent to $1.2977 after the vote before rebounding. It was largely unchanged against the U.S. dollar at $1.303 by 15.45 GMT on March 29.